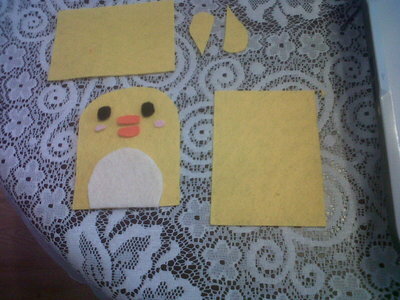 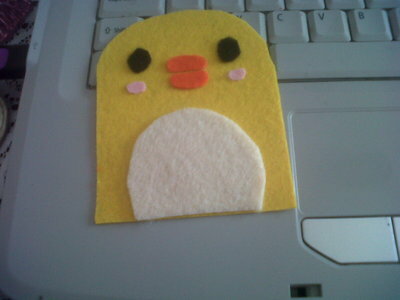 Take scrap pieces of felt. 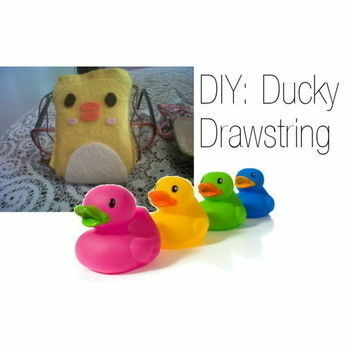 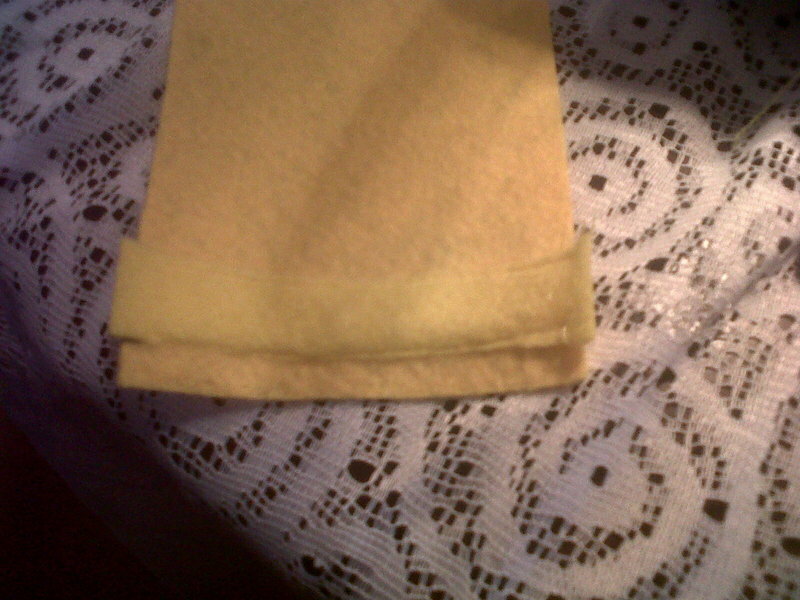 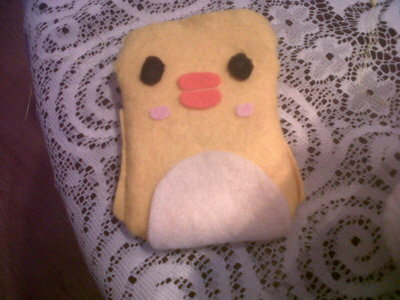 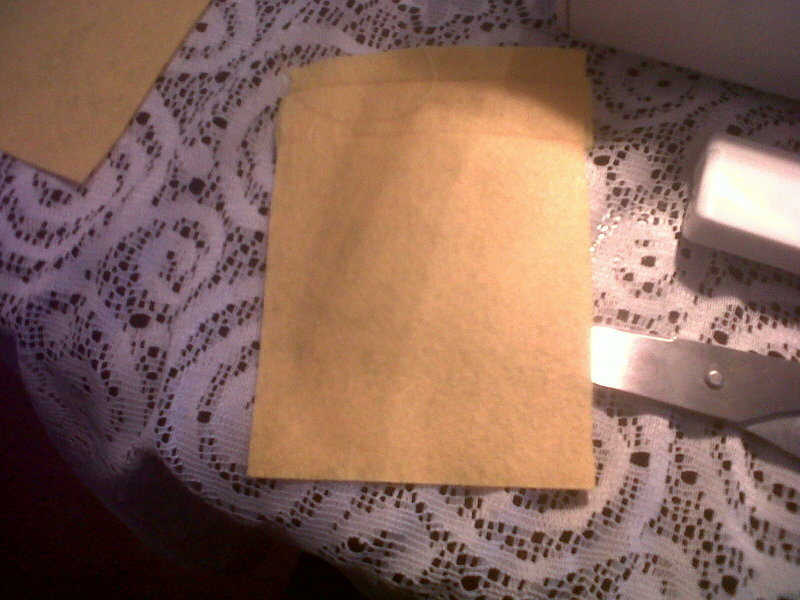 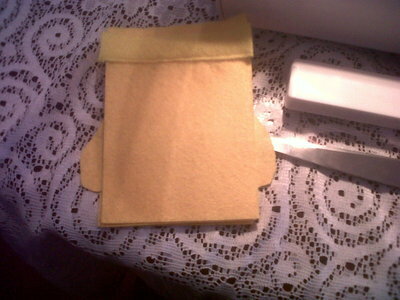 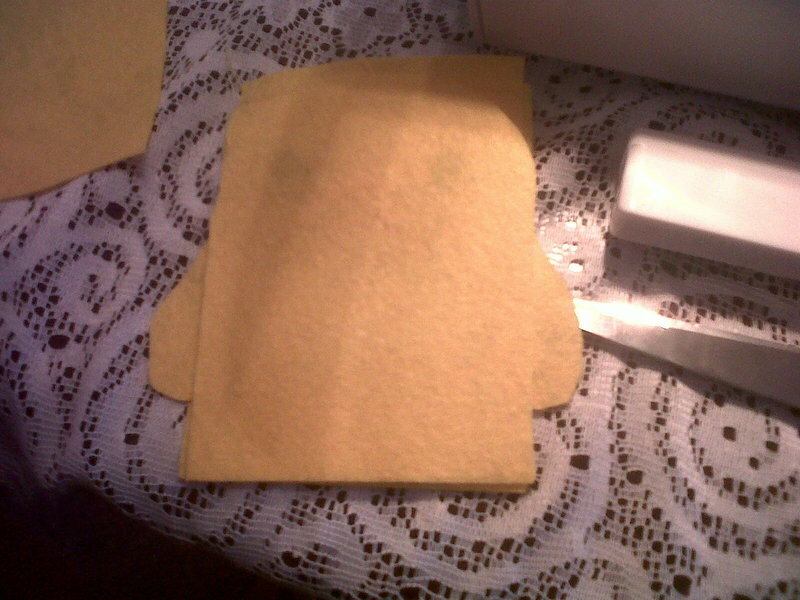 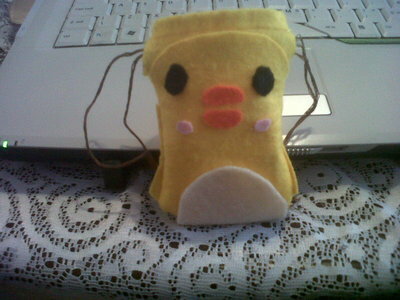 Place in a strip on a piece of the yellow felt and sew. 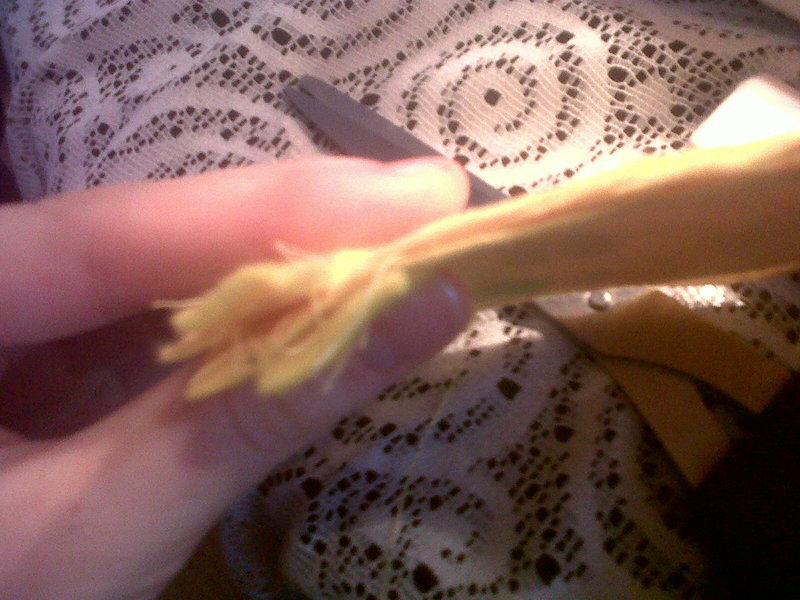 Leave a gap at the ends for the string to go through. Repeat on the other rectangular yellow piece of felt. 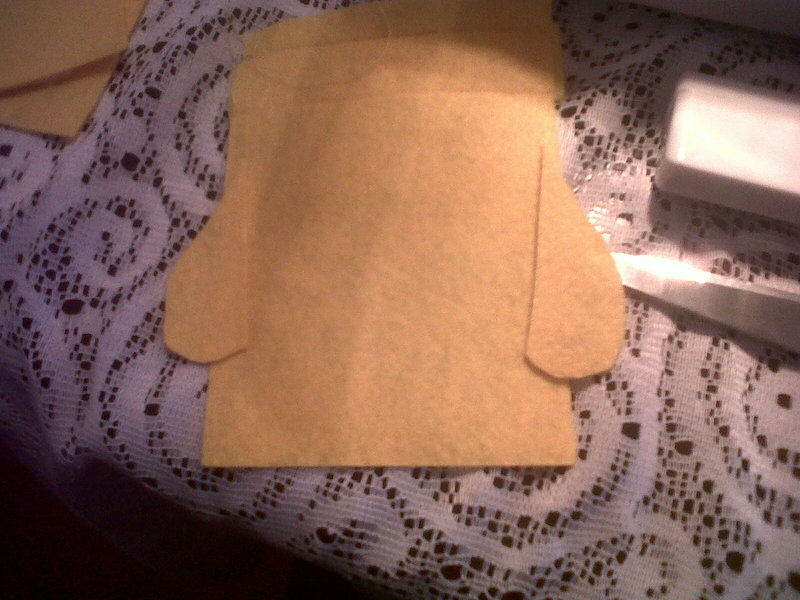 Place one rectangular piece right side up. 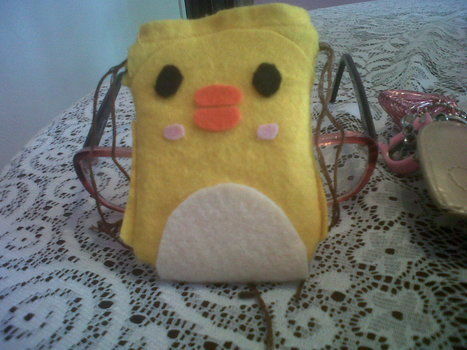 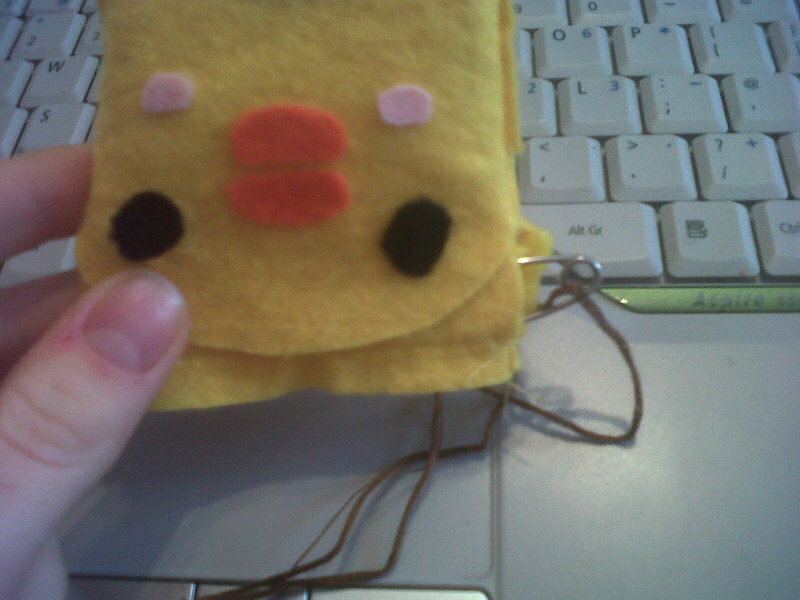 And lastly place the other rectangular yellow piece on felt face down. Take a safety pin and thread the string through one way. Repeat in the other direction and your done.